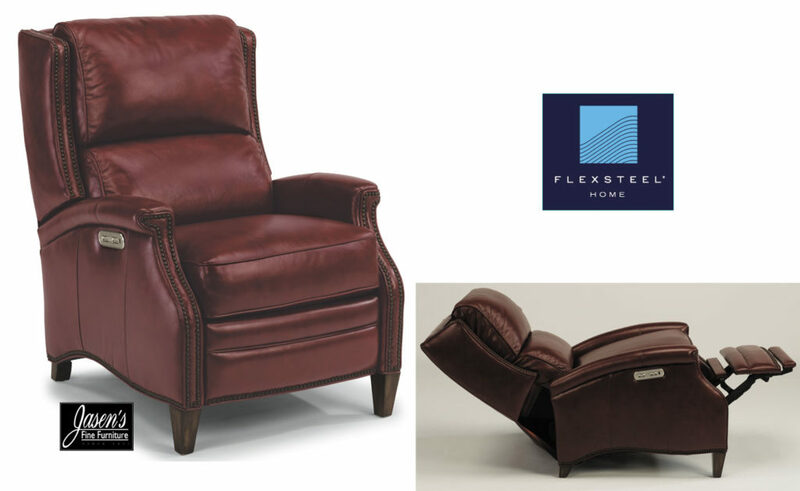 Flexsteel Bishop features timeless nailhead trim yet modern reclining power. 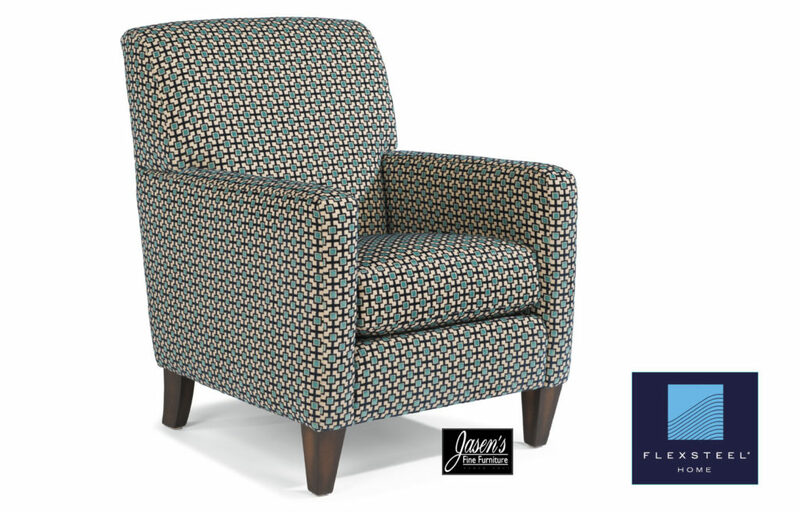 The chair’s nailhead trim highlights an almost traditional style. The elegant yet traditional look is garnished with nailhead trim throughout. Relax in Bishop for almost never-ending luxury and relaxation. A power reclining mechanism lets you change angles consequently from an upright to a fully reclined position. In addition, the control allows you to independently adjust the headrest for custom relaxation. The deep burgundy or dark brown leather adds to the richness in addition to being fully powered. Therefore the chair will make any living room stand out above all others. 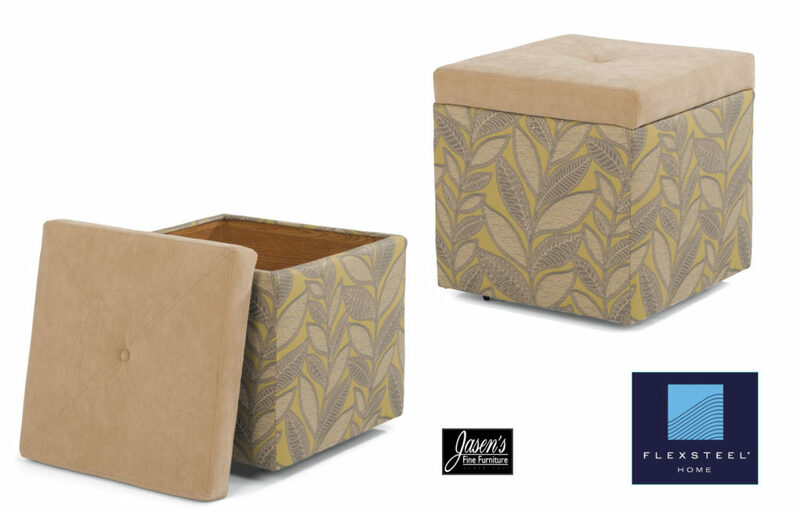 The small however dense ottoman uses castors for easy movement. The top in addition to being stain resistant is removable. It’s inside features high finish and most of all ample storage. Covers available range in the 1000’s making the style almost limitless. Flexsteel Cute chair features Marriage of familiar warmth yet contemporary structure. Sharp and understated, Cute delivers a contemporary style while just a hint of traditional flair. Slim arms and crisp architectural lines almost make this piece a timeless addition to any home. Its chic, welcoming silhouette will, most of all, look clean and sophisticated for years to come. The high leg style consequently makes for a great accent to the Digby series. The legs are shown in Florentine while available in several other finishes. Styling of the chair is compact therefore it will fit in a variety of homes. Fabrics available for the chair are almost limitless from the 1000’s available. Finally, the matching ottoman also makes the chair even more comforting. 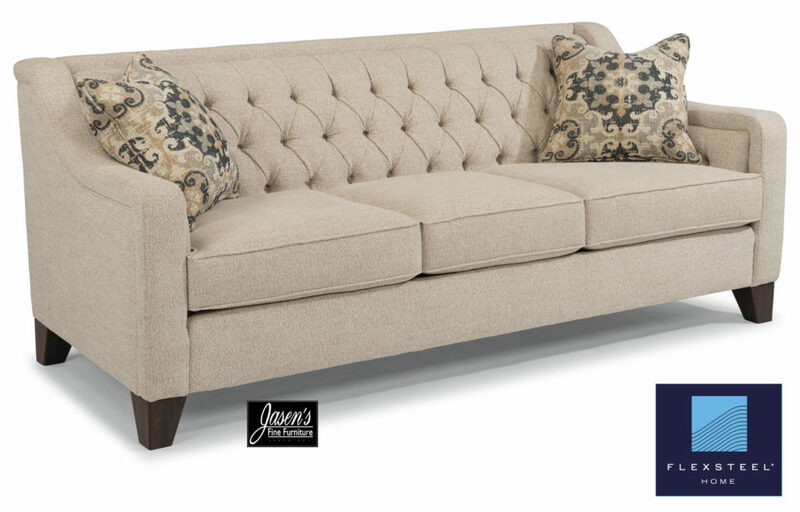 Flexsteel Sullivan features Clean lines that almost contrast traditional tufting. Sullivan seamlessly marries the old and new with its contemporary frame and its diamond-tufted back cushions reminiscent of the Victorian era. Curved sloping arms add elegance to Sullivan’s profile while plush seat cushions and tufted inner arm panels provide the comfort everyone seeks. Slightly angled legs display a subtle, unexpected flair to Sullivan’s overall design. Flexsteel offers nearly limitless options for fabrics that are durable yet stylish. The turned legs also come in a variety of finishes. Furthermore, the seat cushions, while firm, can be upgraded to firmer density foam. Pieces available for the Winston also include chair, chair and a half, loveseat, cocktail ottoman, and ottoman. Most noteworthy is Flexsteel’s warranty that includes Limited Lifetime on the frame, cushions, and springs! Flesteel Winston features Clean lines that almost trace graceful curves. 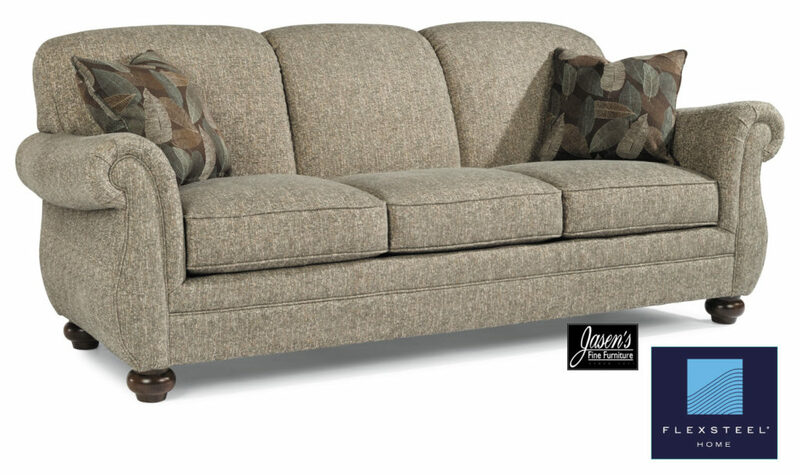 The group features a tightly padded back and bun feet while curved rolled arms create an elegant scalloped profile. Enjoy the old-world refinement of Winston’s traditional styling in addition to the benefits of brand-new upholstery. Amish Falcon table features clean yet round styling. 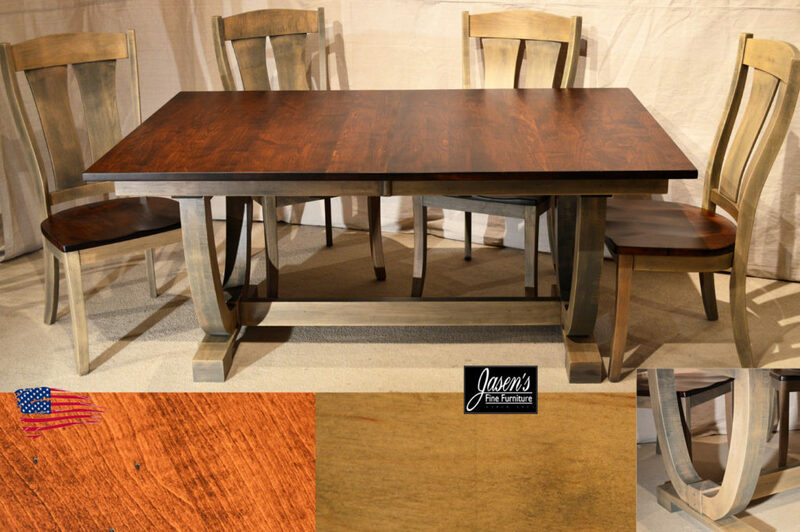 This contemporary yet practical dining table will impress with it’s color combo. The finishes used is a result of contrasting 2 modern tones. Clean styling of the table consequently includes square edge, boat hull trestle, and Asbury Moral combo. Shown in solid oak with 1″ top while also available in other shapes as well. The chairs feature comfortable bent backs while also available in padded seats. Table size: 42″ * 66″ * 30″h. Extends 77.5″-89″ with two leafs. 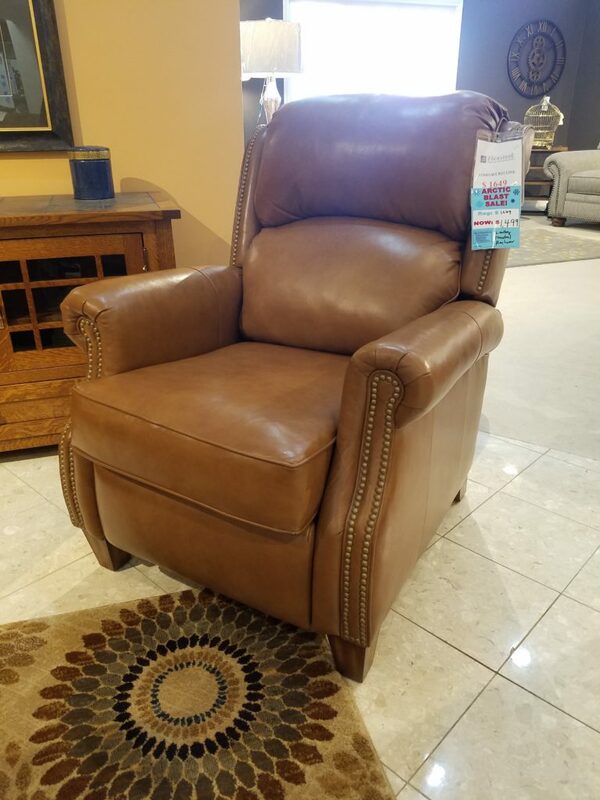 Flexsteel Whistler Leather Recliner: was $1649. now $1499. Michigan Huron Gray Tables feature almost ultra modern style. The solid oak and oak veneer tables showcase a unique style. The tops on the tables are solid oak while the legs feature unique tapering. The Huron Gray series can now be enjoyed in almost every room of the home! Consequently, the wood species that are available include oak, maple, and cherry. 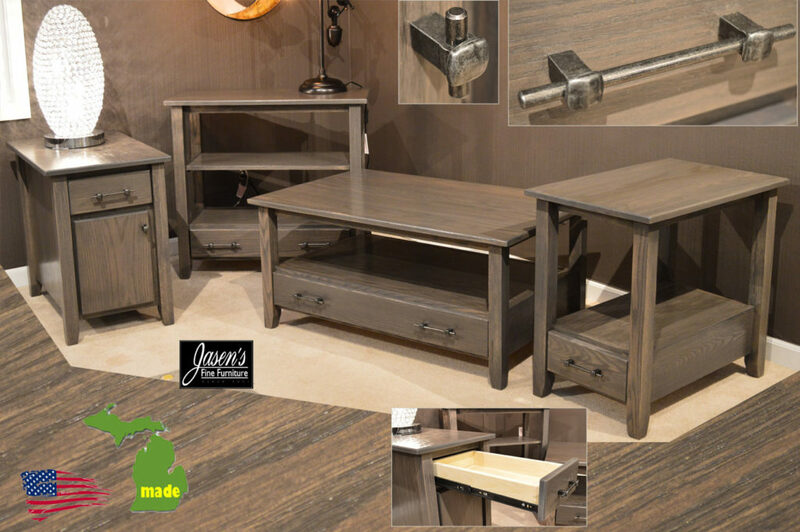 Finally, the tables are made in Michigan, hence made in the USA! 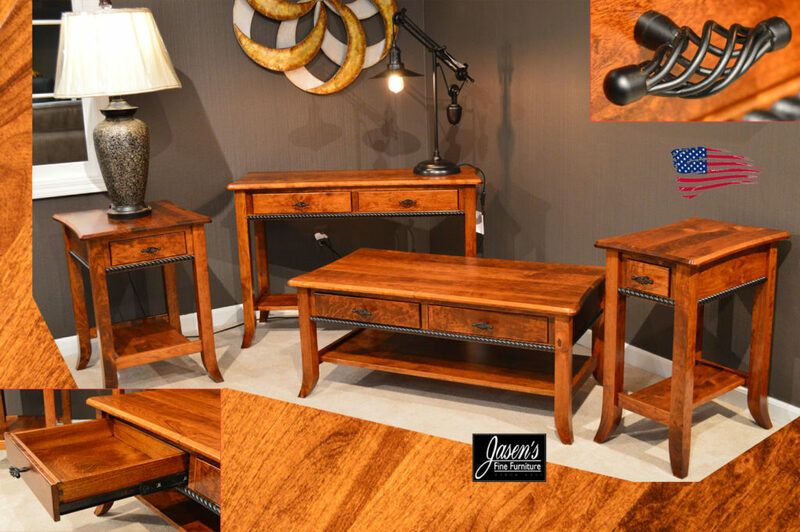 Amish Carlisle Tables feature almost transistional style. The solid rustic cherry tables showcase a unique style. The tops on the tables are inverse bowed on all ends while the edges are beveled. Rope moldings on each table display another dark stain to showcase it’s style. Two wood species are used in addition to two different stain colors. Wood species that are available are almost limitless. Consequently, the wood species that are available include oak, maple, cherry, and quarter sawn white oak. Finally, the tables are made my the Amish, hence made in the USA! Amish Malaguania Bedroom features bold, yet elegant lines. 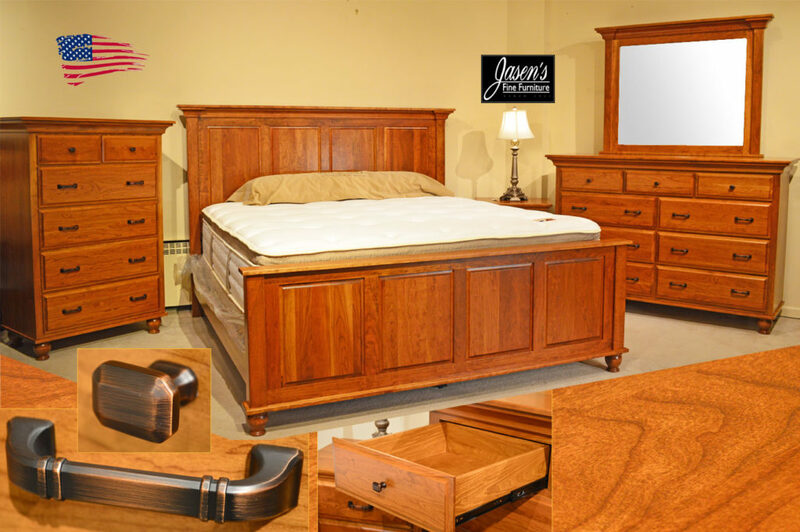 The bedroom features solid rustic cherry construction while maintaining a classic style. Large crown moldings are on each piece, furthermore the turned legs keep the bedroom looking light. Options for the bedroom include other varieties of wood specie including oak, maple, cherry, quarter sawn oak, and more. A king bed is shown, however queen is available as well as a storage platform base.